Dr Jillian Stansbury is a naturopathic physician who has practiced in SW Washington for over 20 years specializing in women's health, mental health, and chronic disease. She holds undergraduate degrees in Medical Illustration and Medical Assisting and graduated with honors in both programs. She was the chair of the botanical medicine department at the National College of Naturophathic Medicine for over 20 years. She also leads classes and Ethnobotany trips in the Andes and Manu region of the Peruvian Amazon. Speaker: Jillian Stansbury, ND. Many people who rely on opiate medication or use heroin are tra..
Speaker: Jillian Stansbury, ND. Restoration of the gut mucosa and intestinal barrier with..
Speaker: Jillian Stansbury. This presentation aims to inspire participants to prepare teas, smo..
Panelists: Chanchal Cabrera, Katie Stage and Jill Stansbury. With over 5 million US citizens afflict..
Speaker: Jillian Stansbury. Tropane alkaloids have a long-standing history in shamanism, but ar..
Speaker: Jillian Stansbury. The most recent research on the well-established liver remedies Sil..
Speaker: Jillian Stansbury. Anthraquinone glycosides such as aloin, emodin, and rhein have long..
Speaker: Jillian Stansbury. This richly visual presentation explores the fascinating depth and ..
Panelists: Jillian Stansbury, Mary Bove and Kenneth Proefrock. We all know the signs of stress..
Speaker: Jillian Stansbury. Oxidative stress and inflammatory load in the body can contribute t..
Speaker: Jill Stansbury. Gastroparesis is a severe form of impaired intestinal motility that ma..
Speaker: Jill Stansbury. The PPIs and other acid-blocking drugs are commonly prescribed but the..
Speaker: Jill Stansbury. The term “blood mover” from Traditional Chinese Medicine embraces the ..
Panelists: Jill Stansbury, Walter Crinnion and Jason Miller. Dan shen (red sage) is considered one o..
Speaker: Jill Stansbury. People have evolved to best utilize, and even thrive, on the nutrients..
Speaker: Jill Stansbury. From bladder infections to renal calculi, urinary complaints are uncom..
Speaker: Jill Stansbury This session summarizes research on the bone-derived nutrients glutamin..
Speaker: Jill Stansbury. Discusses when and why lymphatic congestion occurs and why it matters..
Speaker: Jill Stansbury. What can be done for these conditions, which often have a deleterious..
Panel: K. Proefrock, J. Miller & J. Stansbury. Exciting new discoveries in medic..
Panelists: Jill Stansbury, Walter Crinnion and Teresa Boardwine. A summary of the environmental.. Weight Loss Herbs: Help or Hype? Speaker: Jill Stansbury. Describes botanical agents reported to support weight loss, including ..
Speaker: Jill Stansbury. Inositol compounds occur naturally in the body, and serve many metabol..
Speaker: Jill Stansbury. When the permeability of the gut walls is altered, numerous systemic h..
Speaker: Jill Stansbury. Many plants contain valuable organic mineral complexes, although they are n..
Speaker: Jill Stansbury. Describes the common office scenario of patients wishing to eliminate ..
Speaker: Jill Stansbury. This presentation describes herbs used to help in the process of weaning fr..
Speaker: Jill Stansbury. This presentation explores the herbs that affect serotonin, GABA, acet..
Speaker: Jill Stansbury. Heroin use has been on the rise for decades and treatment facilities r..
Speaker: Jill Stansbury. The human papilloma virus (HPV) affects around 80% of the general populatio..
Speaker: Jill Stansbury. Pueraria has been used as a traditional food and medicine in Asia and a rej..
Speaker: Jill Stansbury. An investigation of the hormonal, nutritional and circulatory factors that ..
Speaker: Jill Stansbury. This class aims to organize the voluminous literature on phytosterols ..
Speaker: Jill Stansbury. The Solanaceae (nightshade) family includes atropa belladonna, datura, brun..
Speaker: Jill Stansbury. The richness of the Amazon rain forest comes to life in this review of..
Speaker: Jill Stansbury. 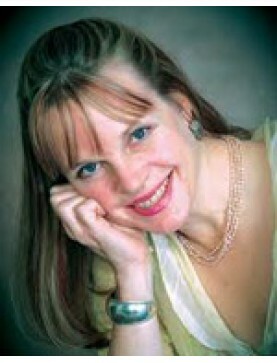 Examines the use of herbal medicines from homeopathic and drop doses t..
Speaker: Jill Stansbury. Topics include anxiety due to hormonal fluctuations and acute stress, ..
Speaker: Jill Stansbury. Explore the fascinating world of cell to cell communication and learn ..
Speaker: Jill Stansbury. Biofilms are aggregates of bacteria implicated in dental plaque format..
Speaker: Jill Stansbury. Includes tropical trees used for medicine: cedrillo, Brazilian pepper tree,..
Speaker: Jill Stansbury. Pharmaceutical and medical management of hyperthyroidism: how to help patie..
Speaker: Jill Stansbury. Describes the basic physiology of insulin resistance and metabolic syndrome..
Speaker: Jill Stansbury. Many cultures of the world believe that not only are plants alive, but..
Speaker: Jill Stansbury. Addresses the most common causes of fever, signs of a dangerous fever and b..
Speaker: Jill Stansbury. Nutritive and restorative herbs for the following systems: Hepatic - Silyb..
Speaker: Jill Stansbury. Legumes and the Soy Story..
Speaker: Jill Stansbury. Five Essential Oils and Their Uses..
Speaker: Jill Stansbury. Photosensitizing Herbs..
Speaker: Jill Stansbury. Lobelia, Tussilago, Drosera and other herbs for a variety of coughs caused ..
Speaker: Jill Stansbury. Discussion of the causes and the association of this syndrome with num..
Speaker: Jill Stansbury. Hibiscus, Crataegus, Vaccinium, Punica and other richly pigmented plants ca..
Speaker: Jill Stansbury. Prescription Botanicals..
Speaker: Jill Stansbury. This presentation describes three main types of cellular receptors: ce..
Speaker: Jill Stansbury. Medicinal Uses of Prickly Pear (Opuntia)..
Speaker: Jill Stansbury. A review of the synergy between these hormonal systems explores why fe..
Speaker:Jill Stansbury. Traditional and modern uses of sangre de drago, uÃ±a de gato, camucamu, muir..
Speaker: Jill Stansbury. How saw palmetto, ginseng, fo-ti, milk thistle, and other herbs alter the e..
Speaker: Jill Stansbury. How the incorporation of soy isoflavones, coumestans and other di..
Speaker: Jill Stansbury. Nervous System Trophorestoratives for Anxiety, Depression, Insomnia, E..
Speaker: Jill Stansbury. A Review of Lesser-Known Adaptogens..
Speaker: Jill Stansbury. Specific Indications for the Endocrine System..
Speaker: Jill Stansbury. The latest research on plant constituents that act as platelet antiagg.. Medicinal Uses of the Apiaceae (Umbell) Fam. Speaker: Jill Stansbury. Hormonal and vascular research on the variety of coumarin compounds in this..
Speaker: Jill Stansbury. A look at modern research and traditional plants for the skin, including Eq..
Speaker: Jill Stansbury. Includes a review of historical medical use, modern research and thera..
Speaker: Jill Stansbury. Herbal and other natural therapies for irritable bowel syndrome and ul..
Speaker: Jill Stansbury. Discusses biochemistry, absorbability, latest research and the use of ..
Speaker: Jill Stansbury. A discussion of the inflammatory processes contributing to arterioscle..
Speaker: Jill Stansbury. Herbs discussed include Vitex, Cimicifuga, Melissa, Lithosperma, Leonu..
Speaker: Jill Stansbury. Describes botanical characteristics and metaphysical qualities of the ..
Speaker: Jill Stansbury. Includes botanicals for adrenal support, lifestyle recommendations and..
Speaker: Jill Stansbury. Includes the hormonal, immune and blood vessel effects of coumarins, a..
Speaker: Jill Stansbury. Causes and therapies for cluster headaches, migraines and muscle tensi..
Speaker: Jill Stansbury. Case studies of weaning patients from anti-hypertensive drugs, managin..
Speaker: Jill Stansbury. Specific topics include: differential diagnosis and therapies for adre..
Speaker: Jill Stansbury. Includes the pathophysiology of fever, signs of dangerously high fever..
Speaker:Jill Stansbury. Syndrome X is a state of insulin resistance that can induce hypertension, hy..
Speaker: Jill Stansbury. Continued from Part 1. A review of the major categories of neurotransm..
Speaker: Jill Stansbury. A review of the major categories of neurotransmitters and their effect on t..
Speaker: Jill Stansbury. The principle that some substances have opposite effects in small dose..
Speaker: Jill Stansbury. This comprehensive presentation begins with a description of the difference..
Speaker: Jill Stansbury. This talk presents therapies for several uterine bleeding conditions. ..
Speaker: Jill Stansbury. The synthesis, actions and metabolism of dopamine are described in the firs..
Speaker: Jill Stansbury. The role of the pituitary, adrenals and thyroid in cortisol production and ..
Speaker: Jill Stansbury. Sometimes called the "spiritual science," anthroposophical medicine w..
Speaker: Jill Stansbury. This comprehensive presentation begins with a description of the ..
Speaker: Jill Stansbury. This lecture begins with a complete description of the types of blood ..
Speaker: Jill Stansbury. Rose myths, poetry, art and songs, with some therapeutic qualitie..
Speaker: Jill Stansbury. A review of the therapeutic actions of Eupatorium (boneset), Stillingi..
Panelists: Amanda McQuade Crawford, Jill Stansbury, Paul Bergner and David Winston. A common s..
Speaker: Jill Stansbury. Gonadotropins are proteins released from the pituitary which ac..
Speaker: Jill Stansbury. The latest research on connective tissue indicates that it provides no..
Speaker: Jill Stansbury. Mythology, ethnobotany and the latest research on the use of mistletoe..
Speaker: Jill Stansbury. The traditional nature cure philosophy of balancing organ pairs and ne..
Speaker: Aviva Romm. This presentation examines the gynecological and obstetric therapies ..
Panelists: Paul Bergner, Deborah Frances, David Winston and Jillian Stansbu..
Speaker: Jillian Stansbury. Types of immune reactions which lead to the inflammatory response a..
Speaker: Jillian Stansbury. Includes an assessment of the risk factors for osteoporosis. ..
Speaker: Jillian Stansbury. A discussion of toxemia, "morbid matter" and the germ theory. ..
Panel: John Douillard, Roy Upton, Crosslin Smith and Jill Stansbury. Offers a variety of approa..
Speaker: Jillian Stansbury. The significance of shape and form in the natural world. The ..
Speaker: Jillian Stansbury. Examines the ancient theories of the Vital Force in light of modern..